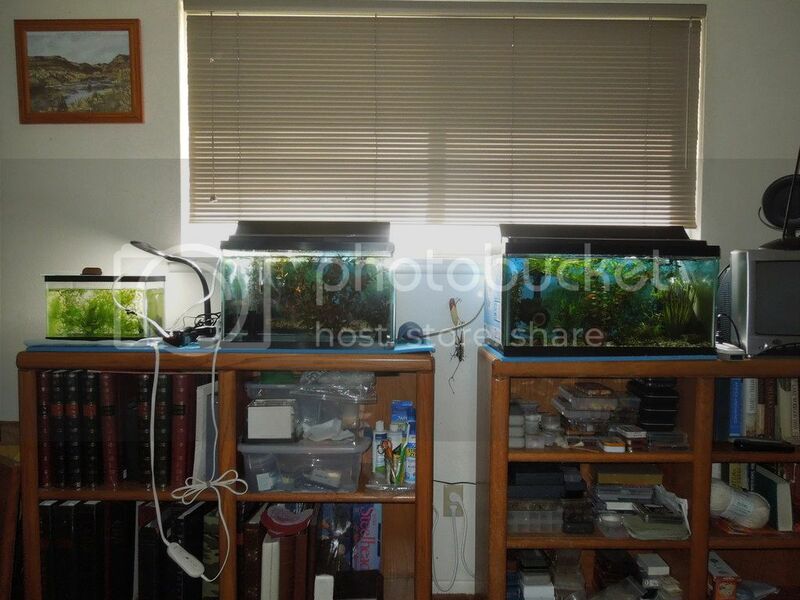 Badman's Tropical Fish > The Lounge > Photo Album and Advice Center > My tanks now. 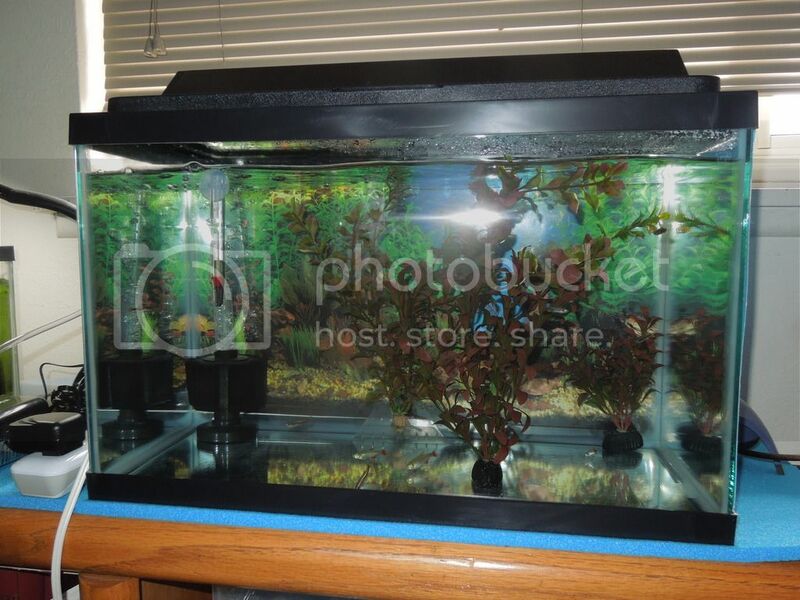 I have put babies in other tanks to grow and am having trouble finding homes for them. It is under treatment for wasting fish problems at this time. The tanks sit on an insulate pad that actually helps level the tanks and dampens vibrations. I of course am open to comments regarding my set ups. I would like a BBA cleaner and am thinking of nerite snails but am not sure if they would survisve cooler temperatures. I think that you are doing a pretty darn good job with your tanks. Here is a link about nerite snails: http://www.aquariumcarebasics.com/freshwater-snails/nerite-snails/#CareNeriteSnails It does say that they need a temp of about 72F to 78F so that may be a problem for you. That means much coming from you, I'm trying. 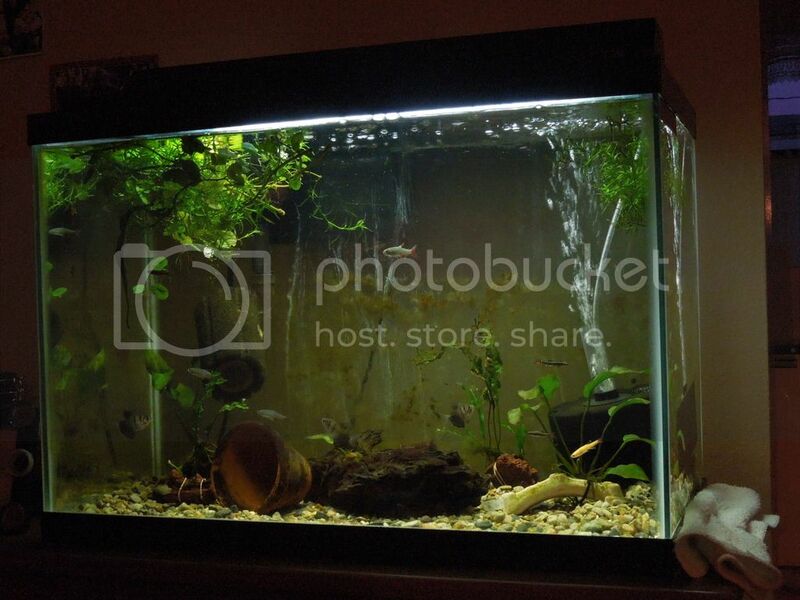 My wife actually prefers the QT with a bare bottom and plastic plants, she thinks the emphasis is put on the fish. I don't know about that. I looked at that site, and then others regarding nerite snails. 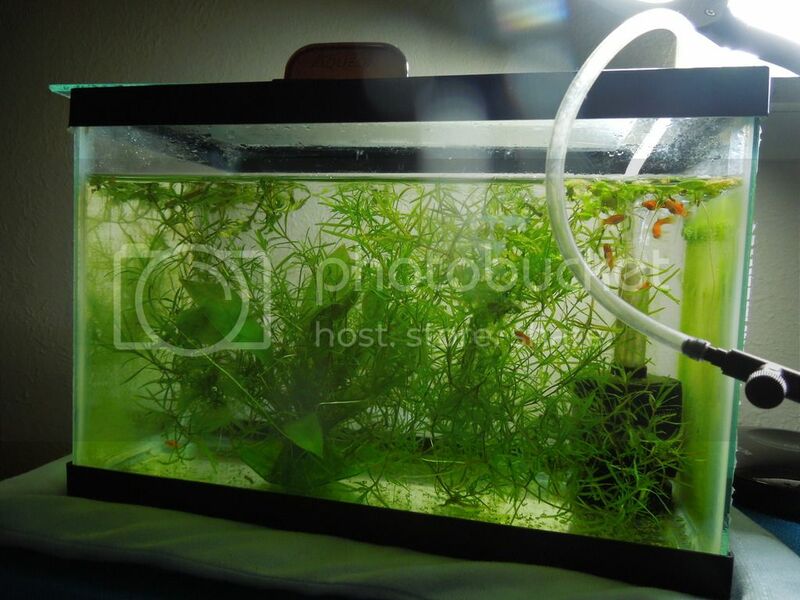 Hmmm, I think I'll try spot treatment at water change with hydrogen peroxide. I would like Florida flagfish but I understand they are bullies toward similar shaped and sized species, and perhaps a bit large for my 15. I don't want to end the QT, that would be sad day. Your wife is right about the bare bottom and plastic plants. You want things to be easy. 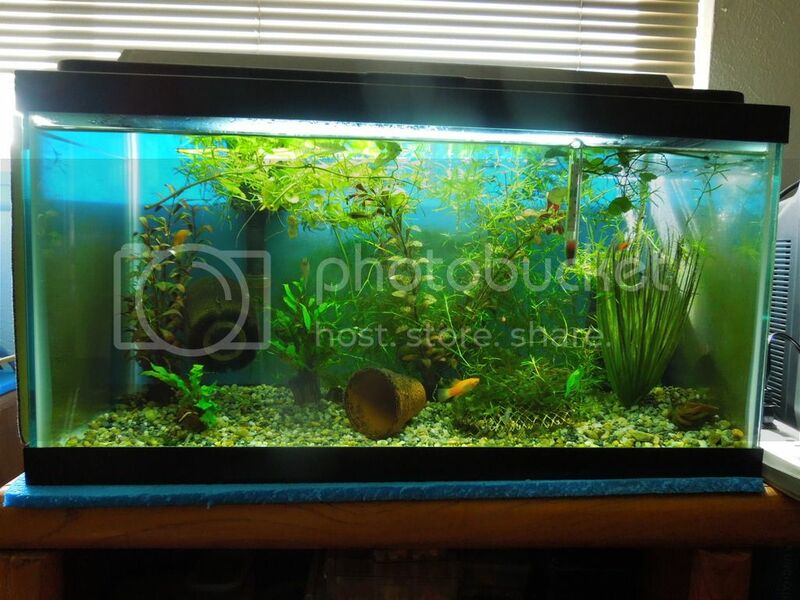 It's easier to vacuum a bare bottom than any substrate. The emphasis should be on the fish. You are observing them to be sure that they are healthy enough to go into your main tank.